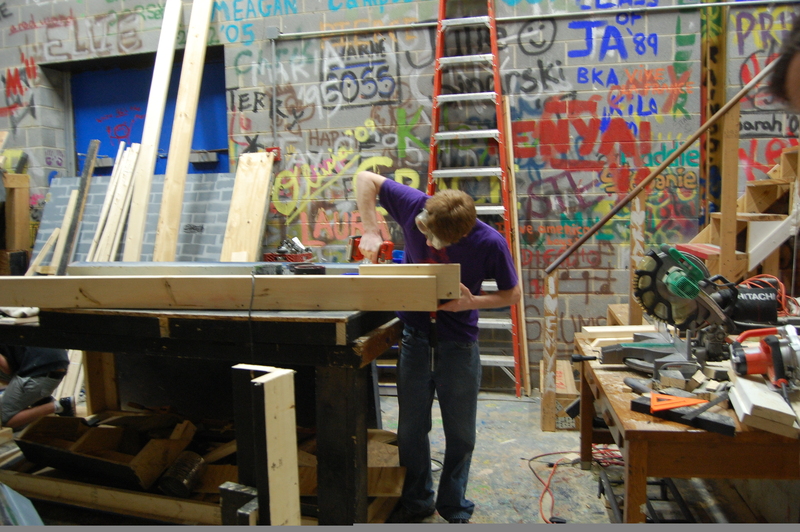 TheatreCHS is proud to have one of the best high school technical theatre programs out there. Many students who have participated have gone on to pursue both college and professional work in the business. The course also encompasses many areas of scenic design and stagecraft while also serving as a valuable opportunity to learn practical skills. 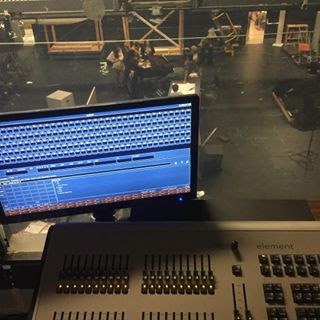 Advanced Technical Theater students will run and manage up to six yearly productions where they will find opportunities to become involved on any level they choose. Our facilities consist of a 120 seat black box studio space, scene shop, and of course, the 1100 seat Martin Luther King Performing Arts Center. 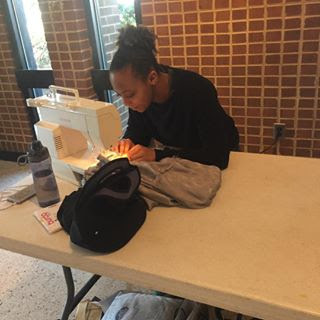 http://www.ccs.k12.va.us/mlkpac/ This past year, students in the Tech Theatre program have competed in the Virginia Theatre Association conference Technical Theater Olympics where we were awarded first place! 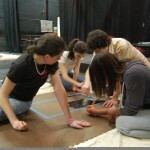 Students may become involved in the technical aspect of TheatreCHS productions in a variety of ways which include, but are not limited to, taking courses in Technical Theatre, working on backstage crews, and volunteering after school to help prepare any of the technical aspects of our productions. Any student wishing to participate in our Tech. Theatre program in some way should see Mr. Becker for more information. Tech I Students wishing to sign up for Technical Theatre I must satisfactorily complete Intro to Drama, or have taken Drama previously and be recommended by a previous Drama teacher. 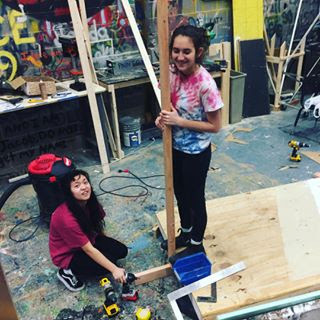 The first semester concentrates on the basics of technical theatre, including theatrical spaces and terminology, safety, roles in tech. theatre, drafting and measurement, lighting and sound equipment, tools and hardware, costumes, props, basics of rigging, and a brief introduction to theatrical design. 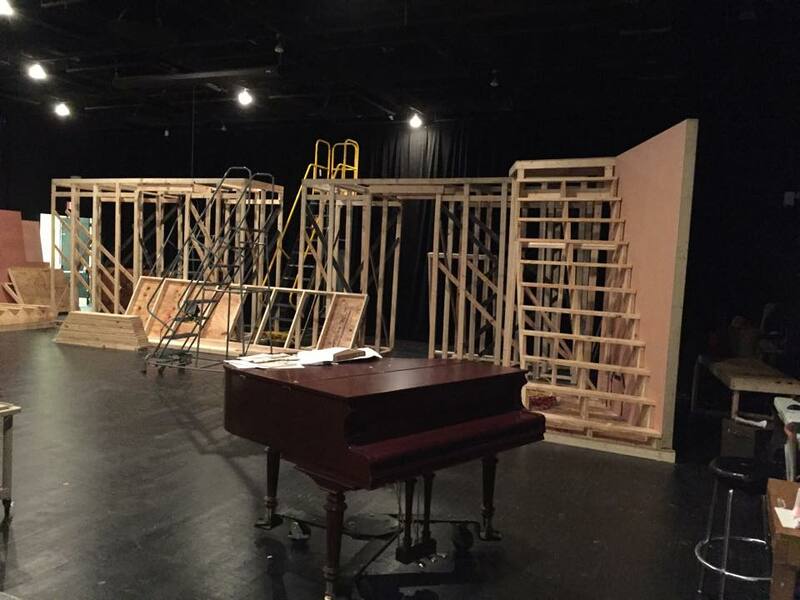 The second semester is intended as a design practicum, with projects involving aspects of design in different areas and also a focus on taking on specific roles in TheatreCHS productions. Students enrolled in Tech. I are required to complete a minimum 5 hours of after school participation per semester. In addition, Tech. I students must attend the major work call and strike for each performance. 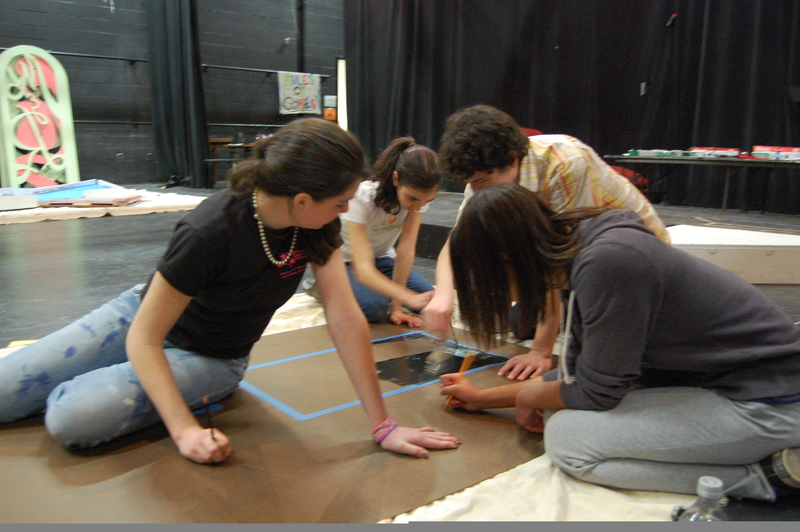 Students are also welcomed and encouraged to take on specific backstage roles during our productions. 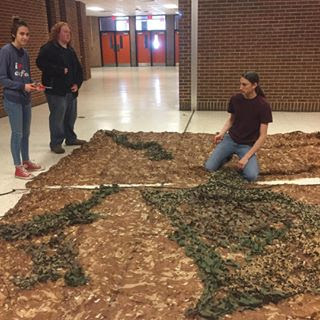 Each fall, the entire Tech class will have the privilege of attending the Virginia Theatre Association convention and working as crew for the TheatreCHS competition piece as well as competing in the Tech. Theatre Olympics competition. 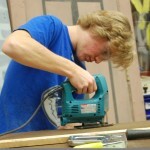 Tech II/III In order to enroll in Technical Theatre II, students must have completed Tech. I and be recommended by the instructor. Only students who have shown a great deal of dedication to the program may be considered for admission to this course, as it requires a great deal of after school commitment (similar to playing sports or performing in plays. The majority of class time will be dedicated to working on the various aspects of each upcoming production, as well as learning advanced tech. theatre procedures not covered in Tech. I. Leadership positions are headed by Tech II/III students. These include: Stage Manager, Assistant Stage Manager, Prop. 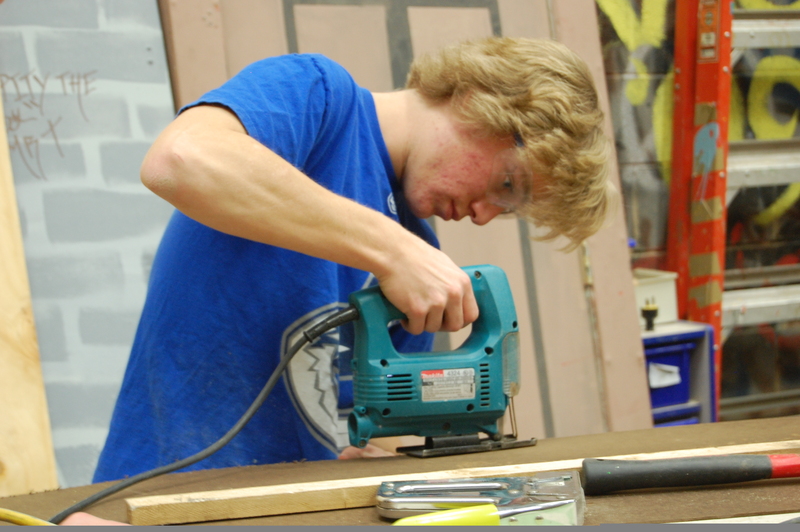 Master, Master Electrician, Master Carpenter, Sound Board Op., Light Board Op., Fly Captain, and Costumer. Any roles not taken by Tech. II students will be offered to Tech. I students with sufficient experience/interest in that particular area of production. Each fall, the entire Tech. 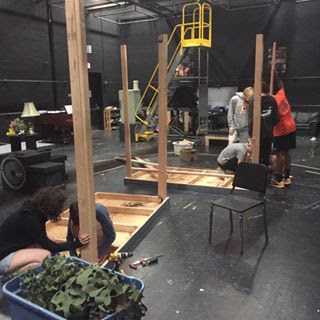 II class will have the privilege of attending the Virginia Theatre Association convention and working as crew for the Glass Theatre competition piece as well as competing in the Tech. Theatre Olympics competition. Juniors and Seniors will be eligible for community service hours or paid internships for the MLK Performing Arts Center.Tech III students will receive honors credit for the course because they are also expected to run productions throughout the year. They also have opportunities to receive payment for their work. 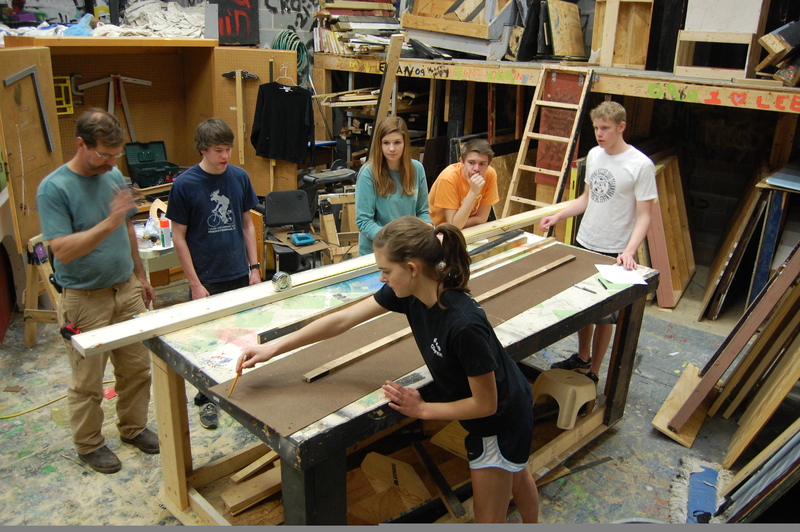 Just because a student is unable to participate in a Technical Theatre course does not mean that he or she may not be involved in the program. 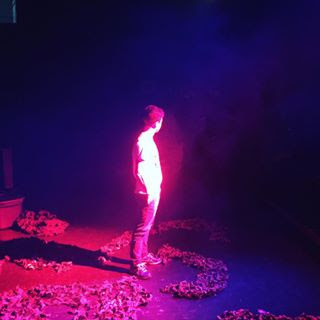 There are many opportunities for interested students to become involved backstage when they cannot fit a Technical Theatre class into their schedule. During each production process, a calendar will be posted for stage crew on the TheatreCHS bulletin board outlining dates for after school work calls. The majority of workdays will happen for these students on Tuesday afternoons. 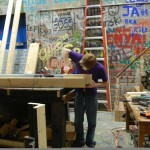 A student may choose to help out with set building, painting, light hang and focus, prop. acquisition, costumes, etc. If interested, students may even have the opportunity to work on backstage crews in the PAC especially for the larger productions in the MLK PAC where crews of 15 to 20 students are sometimes required! Even students who have not yet taken a course may work as a backstage sound op assistant, scenery mover, dresser, or prop. assistant, to name a few. Interested students should see Mr. Becker about becoming involved in this way. This is often the best way to get involved, and it is very rewarding!